Tom has a history of being a leader. He is always thinking outside the box and doesn’t accept the status quo. He is open to new ideas and has been at the forefront of many of the positive changes in county government. It was Tom who made the motion to set aside 100% of the county video gaming revenue to be reinvested back into the community. It is now being used to treat addiction and other health issues through a grant program. As Chairman of the Planning, Building and Zoning Committee, Tom has advocated for new ways to streamline the way the county does business. By finding efficiencies and using technology, the building department has expanded inspection services to 9 communities without hiring any new fulltime inspectors. Not only does this bring a new revenue stream to the county but also saves the villages money by not having to hire fulltime workers with benefits. The county also offers many of our frequently requested permits as an online registration at a lower cost. This saves residents and staff time, but most importantly saves money. Many of these online permits are now much cheaper and can be printed at home. Tom understands that we need fresh ideas and he is ready to work hard to fix our state. Tax payers are demanding relief on income taxes and property taxes. The state of Illinois continues to spend more money than it takes in. If the State would hold the line on new spending, eventually the revenues would catch up to expenses. Tom will demand that all new Legislation needs to have a dedicated funding source. Elected officials should all be moved into 401k’s and set the example. On the Lake County Forest Preserve Board Tom was the leading voice in asking that a $1.3 million-dollar Forest Preserve surplus be abated back to tax payers and after much debate was approved by the board which reduced the forest preserve levy for 2 years. 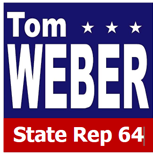 As State Representative Tom will work hard to stop the out of control spending, balance the budget and reduce taxes. You can’t blame people for leaving our state when jobs move away, income tax increases and real estate taxes exceed their mortgage payments. We have many high school graduates going to college. Many find more affordable education in other states. When they graduate and look at the job market and the cost of raising a family in Illinois, they look for employment elsewhere. This is a huge problem that is being ignored. People will stay if they can get a good job. Besides Workman’s Compensation reform, there needs to be an aggressive plan to actively reach out and engage business owners and corporations to see what we can do to make Illinois their home. We need to listen and work to provide what’s necessary to attract new businesses and encourage more small business growth. Small business is the primary source of jobs in our district. We must improve our road systems and infrastructure. Transportation is critical to the quality of our life, to attract new business and promote economic growth. We need a plan for effective ways of moving people and products across Illinois. Residents want to be able to travel and get to work without sitting in traffic and in a timely manner. Tom and his fellow county board members have committed 100% of the 1/4% sales tax towards road projects totaling over $500 million dollars over the past 6 years. As State Representative, Tom will be committed to improving our state’s transportation system. The Chain of Lakes and Fox River are 2 of the most important assets to District 64 generating approximately $150 million dollars a year from tourism. We have thousands of visitors that come to enjoy the natural beauty of the chain and visit many of the local communities where they shop, eat and sight see. The chain is connected by more than 15 lakes with over 480 miles of shoreline and the Fox River is over 30 miles of river from the Wisconsin border, all of which needs to be maintained. Tom is committed to working together with other government bodies and local communities to protect and preserve our natural resources. 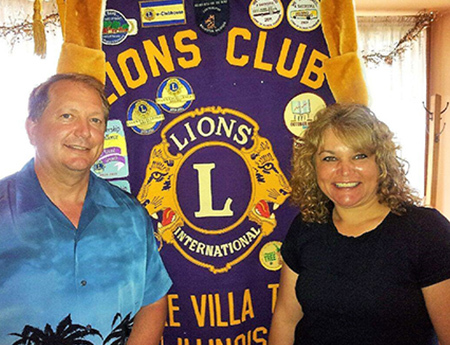 Tom is a member of the Government Reform and Implementation Committee on the Lake County Board. Tom and the committee are actively working to implement a “Fair Map” process. Illinois needs to take the lead and pass a fair map amendment. If you look at many districts in our state, especially district 64, you must scratch your head wondering how they came up with the borders. The fair mapping process needs to have defined guidelines and be a non-partisan decision and make sense. Tom whole heartedly supports a fair map process. Tom is working to help the public be more informed and educated on the opioid problem in Illinois. As a county board member, Tom has hosted forums to help bring awareness to this issue and let families know where to get help. Having treatment programs and support available for those with addiction is very important. As State Representative Tom wants to continue his outreach and work with other agencies to make sure we expand our points of access so that people suffering from addiction can get the care that is needed. Tom will also work for ways our state can assist our local law enforcement. We need to put a stop to the criminals bringing these drugs into our communities. Many times, there is legislation passed in Springfield that creates requirements of local Government bodies but does not provide any funding to implement. Tom will work to prevent these unfunded mandates, which inevitably end up being a cost paid by local schools, villages and other government bodies. Tom is 51 years old and has 6 sisters and 2 brothers. He grew up on his family’s farm in Lake Villa. The Weber Duck Farm was known around the country as one of the leading suppliers of Pekin Ducks. The farm closed in 1989 and is now part of the Lake County Forest Preserve and is known as the Duck Farm Forest Preserve and Dog Park. Tom graduated from St. Johns Military Academy where he achieved the highest rank of Company Commander, was elected as Class president and received many awards including becoming an Eagle Boy Scout. During his summers he worked as a counselor at Makajawan Boy Scout Reservation, as head counselor for English as a Second Language camp and attended an Advanced Leadership Training Seminar at Fort Leonard Wood, Missouri. After high school Tom went back to work on his family farm and worked as a carpenter and electrician. He decided to start a family and married his wife Becki in 1989. They have been married for 29 years and have two children 26 and 28 years old. Tom and his wife Becki still live in his family’s original farm house today. They are members of Grace Community Bible Church. Tom started his construction company in 1996. In 2006 he opened a home inspection service which he closed due to lack of home sales during the recession. As a small business owner and employer, Tom understands the difficult times that many small businesses go through. Tom’s construction company has been providing services for residents of Lake and McHenry County for over 20 years. Tom became disillusioned with government and believes that at some point, a person must stop complaining and do something about the problems he or she sees. 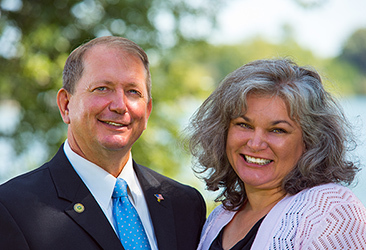 Tom decided to act and won his election to the Lake County Board and Forest Preserve Board in 2012 and became the voice of his county board district. He believes that Illinois is worth fighting for and decided to run for State Representative. 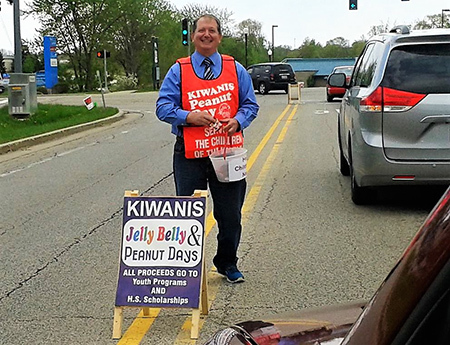 Tom is determined to be active in every area of the district and you can always find him attending or volunteering at local events of the communities he serves. Join him as he now looks towards our state capitol and bringing positive changes to all of Illinois. Tom and his family support our military in many ways. Tom has attended 2 veteran reunions where he volunteers and takes photos and will be going on a third trip in 2019. Tom’s wife Becki has been a Guardian on the Lake County Honor Flight. Tom has helped raise money to send care packages overseas to help connect troops with their families. 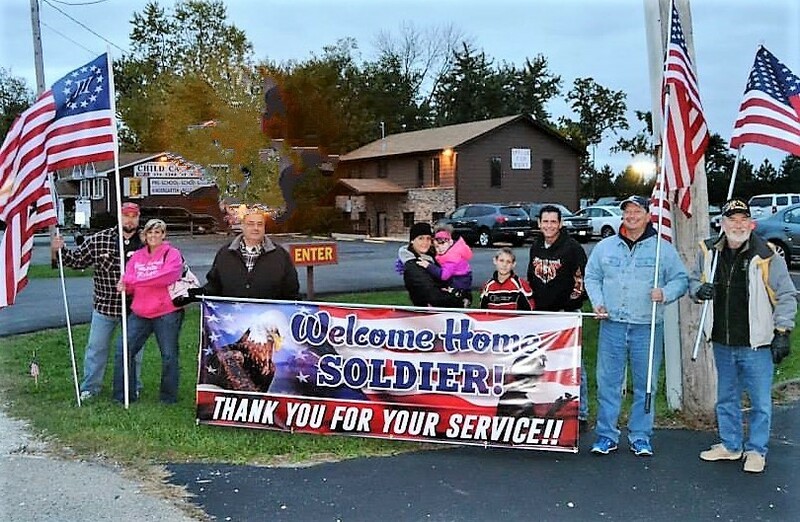 After receiving calls from a soldier’s spouse, inquiring if there were any local organization that welcomed home soldiers, Tom helped in organizing community members to welcome home the troops in his district. A copy of our report filed with the State Board of Elections is or will be available on the Board's official website www.elections.il.gov or for purchase from the State Board of Elections, Springfield, Illinois.